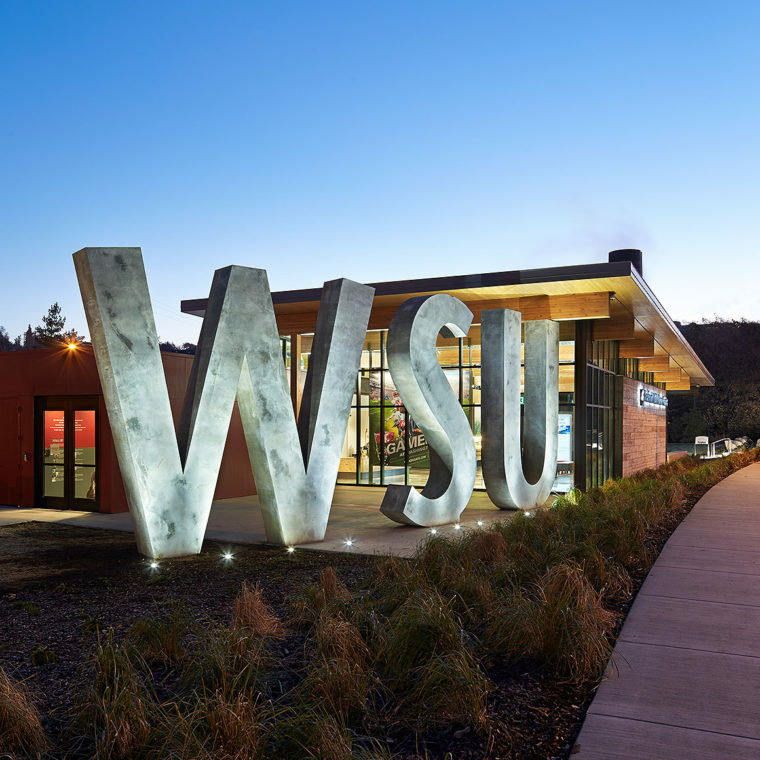 The 15-foot-high letters announcing arrival to the WSU campus stand tall at the new Brelsford WSU Visitor Center, a fast-paced design-build project. 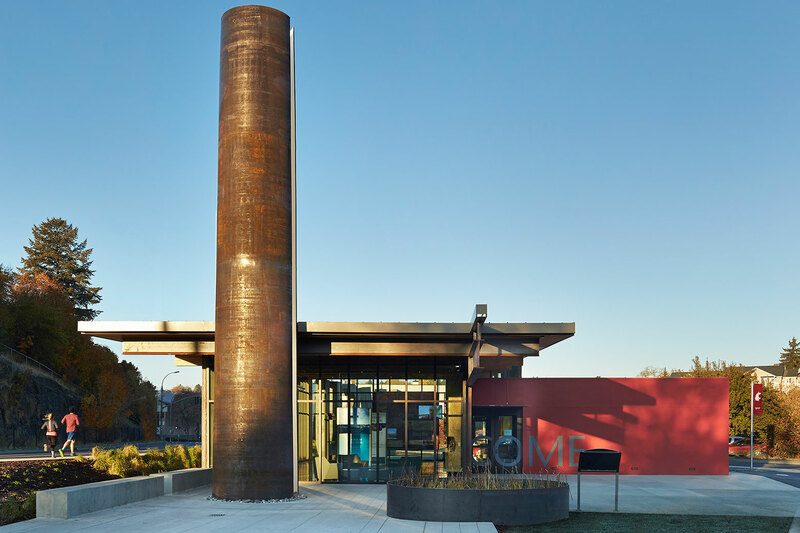 Rainwater is celebrated with a rooftop scupper that spills water 15 feet below to a rain garden contained by a steel ring following the curvature of the tower of light. 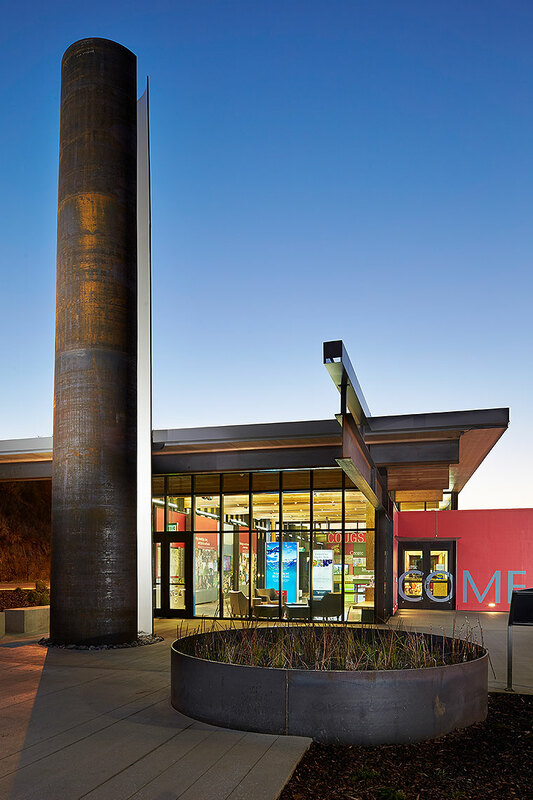 Drought-tolerant native grasses reduce water use and define the iconic landscape of the Palouse while the solar-reflective hardscape reduces the heat-island effect. 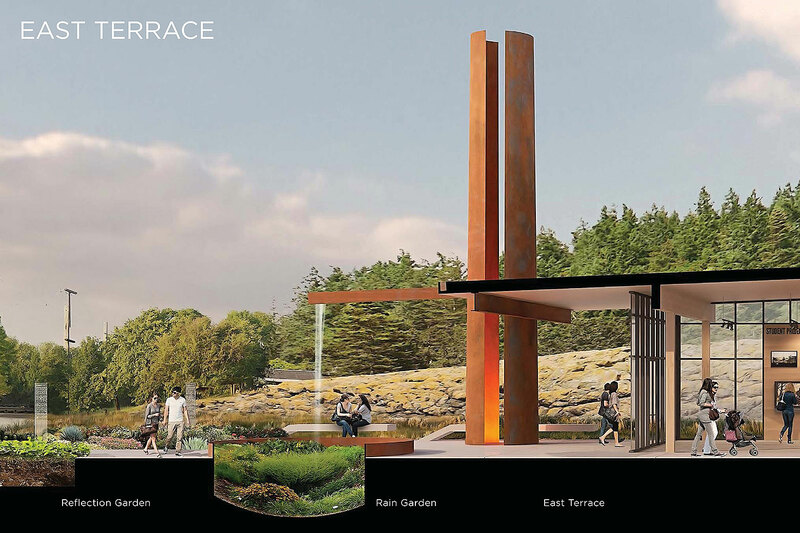 The plaza and rain gardens serve as the new social and academic heart of campus offering spaces for academic and physical sustenance. 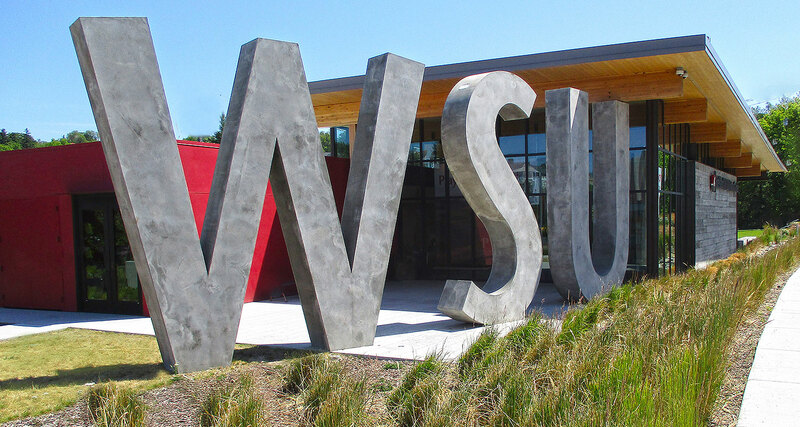 Commencement Walk is a pedestrian pathway that provides a physical and cultural link between the north and south ends of the University of Puget Sound Campus in Tacoma, WA. 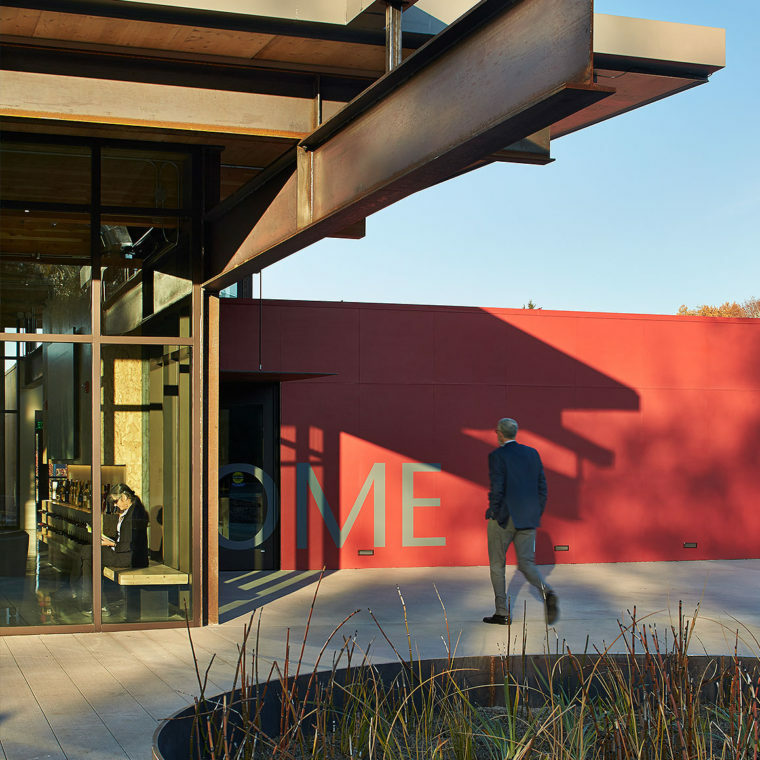 With the focus of the building as technology and innovation, the design addresses outdoor learning space with pervious hardscape, native and adaptive plant material, educational stormwater rain gardens, and a green roof.